Check out this year's street entertainment lineup for MumFest 2018! And Dance Stylez Entertainmnt will be at MumFest this year too! Alex Clark/Juggler - Audience favorite, Alex Clark has been the honored recipient of 2 People's Choice Awards and was an official selection of The Los Angeles Comedy Festival. He is a return performer to The San Diego Buskers Fest, The Wisconsin State Fair, & The Canadian Fringe Circuit. You're guaranteed to love his show again and again. 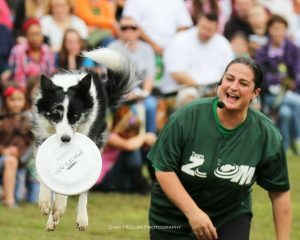 Dare Devil Dog Team is a high energy canine disc and dog diving show that is family friendly and full of high-flying canine excitement! Gary Shelton, Magician entertains children and adults alike!! You'll find him in a number of different locations around the festival! The Silver Drummer Girl is our MumFest Living Statue. She will make you laugh while you try to figure out if she's real! Enchanted Princesses will be visiting the festival for your kids to meet! Make sure that your kids take a picture with them. You'll find them at several locations on Saturday, October 12. Willy the Hillbilly and the Piggly Wiggly Pig will be walking around the festival for you and your kids to meet too! CHECK OUT OUR SCHEDULE TO SEE ALL OF THE ENTERTAINMENT!! !